Macau (also spelled Macao, ? ?, Oumùhn in Cantonese, Àomén in Mandarin) is a Special Administrative Region (SAR) of China and one of the world's most densely populated spots. Macau is across the Pearl River estuary from Hong Kong; it was a colony and then an overseas territory of Portugal until 1999. Macau is best known as a major destination for gambling. This goes back to colonial times, when Hong Kong had tight limits on gambling—it was legal only at the horse racing track twice a week—but Macau had casinos. 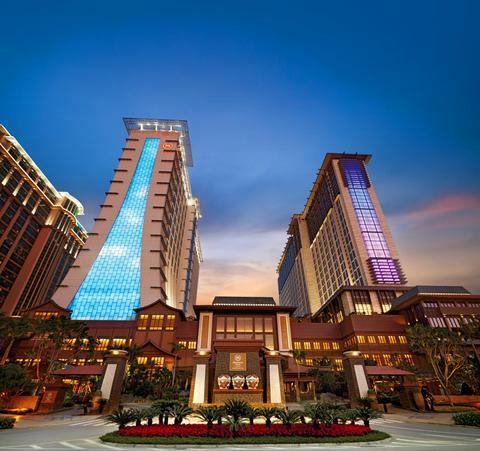 Macau overtook Las Vegas as the world's highest revenue gambling destination around 2008 and now has a substantial lead; several of the major Las Vegas casinos have built new establishments in Macau to cash in on the trend. Macau is by no means only a gambling destination and other attractions include gorgeous colonial architecture, some of it on the UNESCO World Heritage List, a lovely climate and some fine beaches, and excellent food and drink. As the first and last European colony in East Asia, Macau has more visible colonial history than Hong Kong. The buildings and cobblestone or patterned brick streets in many parts of the city, particularly the center of the old city and Coloane, look much like somewhere in Mediterranean Europe. However, the people and the Chinese-language signage indicate Asia. The Portuguese and Macanese population continues to maintain a presence, but most of the population is native Chinese. Macau is unique in many ways, but it also has many close cultural and economic ties with Hong Kong and the Pearl River Delta region across the border. Besides the city (Macau/Peninsula), Macau includes the islands of Taipa and Coloane, which are connected to Macau by bridges and to each other by a causeway. 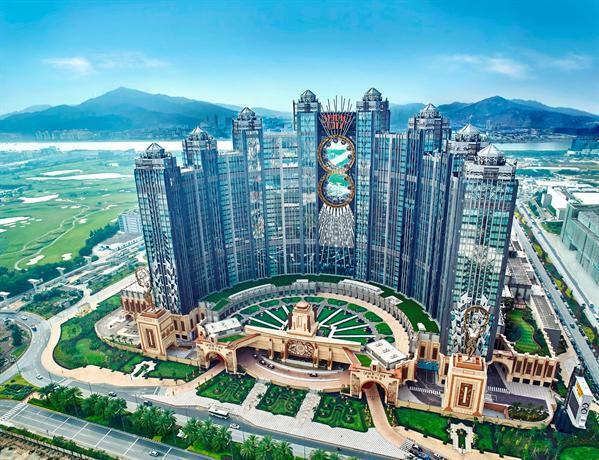 The area between the two islands has been reclaimed from the sea and built up into the Cotai Strip; that has become an area of intense development with many new casinos and hotels. The Chinese city of Zhuhai borders Macau to the north, and the border crossing carries heavy two-way vehicular and pedestrian traffic. The Zhuhai Special Economic Zone extends south to Hengqin Island, an area west of Taipa, Cotai and Coloane; the Lotus Bridge from Cotai connects to that area. There is significant movement by the local population of both Zhuhai and Macau across the border, making the two feel like twin cities. Macau is subtropical with hot summers and mild winters. Although winter is generally mild, there are occasional cold fronts which could make temperatures drop 10°C (18°F) in a day. See below for a discussion of typhoon risk. In the 16th century, China gave Portugal the right to settle in Macau in exchange for clearing the area of pirates. Macau was the first European settlement in the Far East. It was also the last; pursuant to an agreement signed by China and Portugal, Macau became the Macau Special Administrative Region (SAR) of China on 20 December 1999, ending over 400 years of Portuguese administration. Like any port city, Macau has always had brothels and some rather dangerous bars catering to seamen. Like many other places, it has also had organised crime; in the 1990s there were gang wars sometimes involving automatic weapons in the streets. However, after the 1999 Chinese takeover the gangs were rather firmly crushed and today Macau is no more hazardous than any other major tourist destination. China uses the slogan "one country, two systems" for relations between the central government and the two SARs, Hong Kong and Macau. Both are part of China, and neither can have an independent foreign policy or military force, but each has it own laws and legislative assembly and issues its own visas and currency. The governing systems are complex and some locals complain that they are insufficiently democratic and there is too much control or influence from Beijing. Macau's economy has bloomed rapidly due to the opening of the gambling licenses. Thousands of tourists are in Macau each day, mainly from mainland China and neighbouring regions. The standard of living in Macau has as a result grown significantly, and in many cases, is on a par with some European countries. The tourist industry has also diversified: Macau is also promoting its historic sites, culture and cuisine. In order to maintain peaceful relations with China, Portugal often treated Macau as a "Chinese city administrated by Portugal" rather than a full-fledged Portuguese colony in the likes of Brazil or the Portuguese colonies in Africa. As result, Portuguese language, Catholicism, and many other elements of Portuguese culture never saw widespread adoption in Macau, which apart from the casinos and the colonial heritage, remains a Cantonese city at heart. In addition, almost 60% of SAR population have been born outside Macau, mostly coming from mainland China. The term Macanese does not usually refer to people born or with residence in Macau, but rather to a particular ethnic group, namely people of Asian ancestry with either some Portuguese ancestry, or at least, major Portuguese cultural traits (such as adopting Catholicism or speaking Portuguese at home). Macanese form a small but culturally important minority. The future of the Macanese is uncertain - while many government officials see the preservation of Portuguese culture as vital to tourism and future business opportunities in the SAR, some Macanese opt to neglect their Portuguese heritage in order to better integrate into society. A Macao Narrative (ISBN 0195920708) by Austin Coates. Great introduction to Macau's colourful history. You can buy this book at the museum in the Fortaleza do Monte which overlooks the Ruins of St. Paul. Macau was geographically divided into three regions: the peninsula and two islands. However, reclamation of the area between the islands has created a fourth region called Cotai. For many years, the usual way to get to Macau was to fly into Hong Kong and take a ferry across to Macau. Today, Macau is becoming a low-cost airline hub, and some travellers are now arriving at Macau to later go to Hong Kong. Macau has a separate immigration regime from mainland China, Hong Kong and Taiwan. All travellers from mainland China, Hong Kong, Taiwan and foreign countries have to go through immigration and customs checks on arrival in Macau. Therefore, if you want to re-enter the Mainland from Macau, you'll have to apply for another Chinese visa unless your earlier one is a multiple entry visa. Holders of a Hong Kong permanent identity card or a re-entry permit can enter Macau visa-free for up to 1 year without having to present their passport. Holders of a Hong Kong non-permanent identity card can enter Macau visa-free for up to 30 days and must present their passport. Chinese citizens from the mainland who are required to obtain a Two-Way Permit (?????????????? ), and are also required to apply for a visa in advance. However, those in transit to foreign countries may enter Macau with their passport for up to 7 days. In addition, all foreign visitors who intend to enter Macau for less than 48 hours for the purpose of travelling onwards to another destination via Macau International Airport are exempt from obtaining a visa. If you require a visa, it can either be obtained from a Chinese embassy or consulate or on arrival in Macau (Macau visas are separate from visas valid for travel to Mainland China). A visa on arrival costs MOP100 (individual), MOP50 (children under 12; per person for groups of 10 or more travellers with a collective travel document) or MOP200 (family passport). A visa issued on arrival is valid for multiple entries within 30 days of the issuing date. However, Bangladeshi, Nepalese, Nigerian, Pakistani, Sri Lankan and Vietnamese citizens cannot use the visa on arrival facility (unless they hold a Hong Kong identity card) and must apply for a Macau visa at a Chinese embassy in advance or at the Commissioner's Office of the Chinese Foreign Ministry in Hong Kong if they live there. The application form for a Macau visa if applying for one at a Chinese embassy or at the Commissioner's Office of the Chinese Foreign Ministry in Hong Kong is available online and the application fee is USD30 (plus USD20 if the embassy has to refer the application to Macau). The standard service takes 5 working days to process the visa application (if the embassy needs to refer the application to Macau, the application takes 3 weeks). An express service (3 working days) is available for an additional USD20, while an 'extra express' service (same or next working day) is available for an additional USD30 (the express/'extra express' services are not available if the embassy needs to refer the application to Macau). More information is available at this webpage of the Macau SAR Public Security Police Force. All travellers who enter Macau (regardless of whether visa-exempt or not) may be required to show they have a minimum of MOP5000 to fund their stay and possess a valid return or onward journey ticket. The only exception to the return/onward journey ticket requirements is for residents of Hong Kong or mainland China, but not if they use a Hong Kong SAR or Chinese passport to transit through Macau to a third country/territory. Immigration is generally "no questions asked" but there have been reports of Indian nationals being targeted by immigration officials. It may be wise to be ready with credit cards or access to a bank account with sufficient funds. Minimum validity of travel documents. For foreign nationals, the maximum limit of stay in Macau is restricted to 30 days before the expiry date of the passport or travel document and the entry or re-entry permit. For example, if a New Zealand citizen presents a passport which has a validity of 40 days when she enters Macau, she will only be allowed to stay for up to 10 days, even though in general New Zealanders can stay for up to 30 days in Macau visa-free. Like Hong Kong, Macau immigration does not stamp passports. Instead, all visitors are issued a landing slip on entry, on which your terms of entry will be stipulated, and your entry and exit will be recorded electronically. Detailed information about immigration requirements is available from the website of the Macau Public Security Police Force. This is still the main way in which most visitors get to Macau. The main ferry terminal in Macau is the Macau Ferry Terminal (Terminal Marítimo) at the Outer Harbour (Portuguese: Porto Exterior, Chinese: ??) on the Macau Peninsula. This is a busy terminal handling most of the sea traffic between Macau and Hong Kong as well as the Chinese ports of Shekou and Shenzhen International Airport. Getting there/away: Buses 1A, 3, 3A, 10, 10A, 10B, 12, 28A, 28B, 28BX, 32 and AP1 run from the ferry terminal. The bus stop is on the main road to the right as you walk out of the building. Pick up a free bus schedule in the tourist information centre in the building. If you are heading straight to a casino or hotel, most of these establishments provide free shuttle buses. They gather to the left of the terminal building; step out of the arrival-level of the building and turn left. Next to the bus stops is a taxi rank. Taxis to Largo do Senado are less than MOP30. There is a lesser known ferry terminal at Pier No. 11 at the Inner Harbour (Portuguese: Porto Interior, Chinese: ??). This is a new ferry terminal building after its former Pier 14 site was given to developers by the Macau Government. 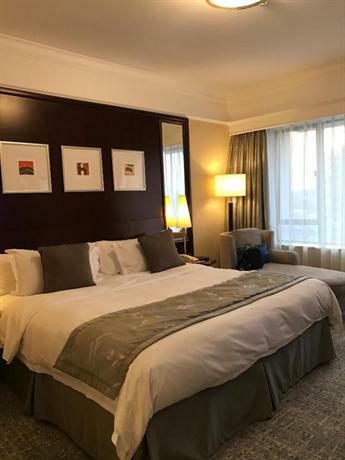 It is very near to the Macau city centre and can be easily reached on foot. This terminal mostly services boats to Shenzhen, Jiangmen and Wanzai across the Inner Harbour in Zhuhai. A third terminal, Taipa Ferry Terminal, serves Taipa, Cotai and Coloane connecting to Hong Kong and Shekou. It is next to the airport terminal. Immigration is very fast except at peak times and you do not need to complete an arrival card. Ferries to Macau operate from several points in Hong Kong, including the Hong Kong International Airport where you can bypass Hong Kong Immigration and transfer directly into a ferry to Macau. Macau-Hong Kong Island: Ferries from Hong Kong's Macau Ferry Terminal in Sheung Wan on Hong Kong Island operate 24 hours a day at frequencies of every 15–30 minutes by day and hourly at night. In Macau, they dock at the Macau Maritime Ferry Terminal. The cheapest one-way ticket from Hong Kong is HKD142 (HKD20 extra per bag for luggage) and the trip takes one hour. You can buy tickets online in advance to ensure you secure the sailing you want at busy times. On weekdays, you should be able to get on the next service, but on weekends and holidays you should either book ahead or be prepared to wait. Weekend fares are more expensive. Ferries are operated by TurboJet (Tel: +853-7907039 in Macau, +852-28593333 in Hong Kong). Another frequent ferry service is operated by Cotai Jet directly to Taipa from Hong Kong, and there are free shuttle buses to The Venetian from the Ferry Terminal, for quick and easy access to Taipa and Coloane. Unscrupulous vendors might try to sell you tickets without a fixed return time, or a very late one with the promise that you can return earlier if you wish. Return ferries from Macau to Hong Kong are often completely full at night, and returning without reserved seats or on an earlier boat are unlikely. Macau-Kowloon: You can also get ferries from the China (HK) Ferry Terminal on Canton Road, Tsim Sha Tsui in Kowloon, Hong Kong. Ferries are less frequent compared with services from Hong Kong Island, running every half-hour from 7AM-10:30PM. Fares start at HKD133 and the trip takes about 90 minutes. The ferry operator (previously New World First Ferries) is TurboJet (Tel: +853-7907039 in Macau, +852-28593333 in Hong Kong) as well. Macau-Hong Kong International Airport: There are also ferries from Hong Kong International Airport to Macau. These are less frequent but they allow you to bypass Hong Kong immigration and customs by transferring directly to the ferry in the airport's transfers hall. If purchasing a ticket online in advance, your airline may be able to check your luggage all the way to Macau for you. You board the ferry at the airport SkyPier. The fare is HKD254 and services are operated by TurboJET (to the Macau Outer Harbour Ferry Terminal) and Cotai Water Jet (to the Macau Taipa Ferry Terminal). The price of ferry tickets differ based on the time and day of the week of the ride. Ferry departures at night (between 6PM and 6AM) and on weekends are more expensive. Especially at the HK Macau Ferry Terminal, keep an eye out for ticket touts. Some offices here resell legit bulk tickets at a small discount, but an altogether slimier species sells unused tickets for ferries that are about to leave—you may catch them if you run, but will be out of luck (and money) if you don't. Be wary of anyone outside the elevators who enthusiastically beckons you to an agents office—and shows you tickets for future sailings, only for you to end up with tickets for ferries that are departing in the next few minutes. A few touts even pose as "inspectors" and, with practiced sleight of hand, swap your ticket. Only let someone in uniform take your ticket! The official ticket booths (there are also self-serve terminals) are well-marked and the staff speak English and you don't need to show anyone your ticket until you enter the immigration area. Several ferry companies run to Macau from mainland ports including Jiangmen, Shekou (in Shenzhen) and Fu Yong Ferry Terminal (next to Shenzhen Airport). Macau-Fu Yong (Shenzhen Airport): TurboJet (Tel: +853-7907039 in Macau, +86-755-27776818 in Shenzhen) runs several ferries daily between the Macau Ferry Terminal (Outer Harbour) and the Fu Yong Ferry Terminal. Journey time about one hour. Fares start at MOP171. There are shuttle buses connecting the Fu Yong Ferry Terminal with Shenzhen Airport. Yuet Tung Shipping Co (Tel: +853-28574478) runs a ferry service departing from the Macau Inner Harbour Terminal at Pier 14 on Rua das Lorchas (near intersection with Av Almeida Ribeiro) at 10AM, 2PM, 5:30PM and 8:15PM. MOP129, MOP78 for children. From Shekou, boats leave at 8:15AM, 11:45AM, 3:45PM and 6:30PM. Journey takes about 80 minutes. Shenzhen Xunlong Shipping Co operates from Macau's two other ports: 10 times per day between 9:45AM and 8:45PM from the Macau Ferry Terminal and 3 times per day between 11AM and 7PM from the Taipa Ferry Terminal (¥170 in 2011). Macau-Jiangmen: CKS has a daily connection with Jiangmen from the Macau Inner Harbour Terminal at Pier 14 on Rua das Lorchas. Macau-Wanzai (Zhuhai): Yuet Tung Shipping Co runs boats between the Macau Inner Harbour Terminal at Pier 14 on Rua das Lorchas, and the Wanzai Customs Port in Wanzai, Zhuhai. Journey time is about 30 minutes. MOP12.50. Boats start at 8AM and end at about 4PM. You can catch connecting buses to Gongbei and other places in Zhuhai from Wanzai. A more frequent and cheaper option is to catch a ferry to/from Zhuhai's Jiuzhou Port, which is only a few kilometers from the Macau-Zhuhai border. Take a short taxi ride (¥10) or a No. 4 bus from the border crossing to the ferry terminal. The bus ride should be included in your ferry ticket. Ferries from Shenzhen Shekou Port to Zhuhai run every 30 minutes. ¥90. From Hong Kong, frequent HZMBus shuttle buses departing up to every 5 minutes, 24 hours a day are available to cross the Hong Kong–Zhuhai–Macau Bridge (HZMB). They take around 40 minutes, and tickets can be purchased with Octopus or AliPay from ticket machines, as well as cash and credit cards at the ticket desk at the HZMB Hong Kong Kong Port. The Hong Kong Port can be reached by taxis or various buses including CityFlyer airport (A number) routes, or the B5 shuttle bus from Sunny Bay MTR station, or the B6 bus from Tung Chung. Once arriving at the HZMB Macau Port you can take taxis or the 101X bus, the 102X bus to St Paul's and Taipa, or the HZMB Integrated Resort Connection bus (free) to Taipa Ferry Terminal or the Exterior Ferry terminal to connect to the free casino shuttle buses. You can take also the coach from Guangzhou. The trip takes about 3 hours and costs around ¥80. Buses are available from the Guangzhou airport at regular intervals. The bus takes you within walking distance (200 metres) of Portas do Cerco - the usual entry point into Macau. There's direct coaches from Shenzhen, both from the airport and the long distance bus station, taking about three hours. Dongguan also has services to Macau Airport for also taking three hours and costing ¥100. You can also get a bus from either place to Gongbei bus station in Zhuhai. That puts you right across the street from the border facilities so you can walk to Macau (see next section). This can save you a bit of money; the bus is about the same price either way, but food and hotels are cheaper in Zhuhai. 1 Macau International Airport (MFM IATA) (off the shore of Taipa Island). It has basic facilities and a couple of aerobridges, but it is possible that you will park on the tarmac and take a bus to the terminal. Macau's flag carrier is Air Macau (????). While nowhere nearly as well served as Hong Kong, the airport is popular among low-cost airlines thanks to its lower landing fees. AirAsia flies to Macau from Kuala Lumpur, Kota Kinabalu, Kuching, Penang, Bangkok and Pattaya while Jetstar serve Singapore, Cebu Pacific and Philippine Airlines serve Manila and Clark, Thai AirAsia flies to Bangkok. Bus AP1 plies a route between the airport and the Barrier Gate. Its route passes through several points on Taipa Island, and it stops at the ferry terminal on the peninsula on the way. It costs MOP4.20 per passenger, MOP3 per bag. It has limited provision for baggage, and can be very crowded (you may not even get the first bus to arrive). Change at the ferry terminal for other destinations, the frequent number 3 bus runs from the ferry terminal and passes the Lisboa, Landmark Hotel, and Holiday Inn, or catch one of the hotel/casino shuttles which go the ferry terminal. The buses do not give change, but there is a currency exchange just inside the terminal that will change foreign currency into low denomination MOP. Alternatively, take a metered taxi straight to your destination, but there's a MOP5 airport surcharge plus MOP2 for the bridge and MOP3 per bag. Fares to the city center are around MOP40–50, the trip taking 15–20 minutes. If you are bound for Hong Kong, Zhuhai or Shenzhen, you can use the airport's Express Link special bus service to connect directly to the ferry or the Zhuhai border without passing through Macau immigration. However, the bus schedule is limited (11AM-6PM only), which limits the utility somewhat; depending on your flight, if you don't need a visa for Macau, it may well be faster to go through immigration twice. If you have a same-day ticket, you can also use this service in the return direction to transfer directly to the airport. Connections to mainland China are no longer limited, with services to many cities. Air Macau flies daily to Beijing, Nanjing, Ningbo and Shanghai. They also fly several times a week to Chengdu, Chongqing, Hangzhou, Hefei, Nanning, Wuhan and Xiamen. Xiamen Airlines flies to Fuzhou, Hangzhou and Xiamen. Other airlines include AirAsia, Cebu Pacific, EVA Air and Spring Airlines. It is usually cheaper to fly to Zhuhai and cross the border by land as flights between Macau and the mainland are considered to be international flights. There are three vehicular entry points into Macau from China. The two traditional ones are the Portas do Cerco (?? Guan Chap in Cantonese, Gu?nzhá in Mandarin) at the extreme north of Macau Peninsula which connects you to Gongbei in Zhuhai, and the Lotus Bridge (officially the Cotai Frontier Checkpoint) which links the Cotai Strip with the Wanzai district of Zhuhai. The third is the combination bridge/tunnel from Hong Kong. You can only enter if your vehicle (cars only, no motorcycles) has both Macau and mainland China number plates and the driver carries both Macau and China driver's licenses. You must switch sides of the road: mainland China drives on the right, Macau and Hong Kong drive on the left. Lotus Bridge: Much quieter than the Portas do Cerco, this crossing involves you driving over the Lotus Bridge over the narrow channel between Cotai and Hengqin Island (China). The crossing is open from 9AM-8PM. Getting there/away: The Cotai frontier checkpoint can be accessed via the Taipa-Coloane Istmus Road (still known as the Taipa-Coloane Causeway) and turn off at the Flor de Lotus roundabout about halfway between Taipa and Coloane. The 50-km Hong Kong-Zhuhai-Macau link, a bridge and tunnel opened in October 2018, was likely one of the largest construction projects in the world. Drivers must apply for three separate permits (one from each of the Hong Kong, Macau, and mainland governments) to drive across the bridge from Hong Kong, and you have to park your car and use public transport once you arrive in Macau anyway, so taking a shuttle bus is probably a better choice. Macau has no train service of its own but the newly opened station across the border in Zhuhai is next to the Portas do Cerco (Barrier Gate), the northern entrance to Macau. There's hourly service from Guangzhou which in turn is connected to the national high-speed rail network. You can cross from mainland China to Macau on foot at the above mentioned Portas do Cerco (Barrier Gate) crossings at the extreme north of Macau Peninsula. In fact, thousands of Macau and Chinese citizens do it daily, making it an horrendously busy crossing. Depending on the time and day of the week, expect long waits to get processed. On the Chinese side is the city of Zhuhai; walking out of the terminal puts you right in the main tourist district, Gongbei. It also puts you right at the Zhuhai terminus of the fast trains which connect directly to Guangzhou and from there to almost anywhere in China. Getting there/away: The massive underground Portas do Cerco bus terminal is beneath the pretty garden in front of the border checkpoint plaza. You'll be able to find buses to most parts of Macau, including Taipa, Coloane and the Cotai Strip from here. From downtown Macau by taxi, the border is about 10 minutes and MOP30. As most people crossing the Barrier Gate are either mainland or Macau residents, foreign passport holders may get a short queue at the Zhuhai immigration clearance as they do not pass through the same counters as Chinese nationals. However, Macau's immigration divides entrants only into Macau residents and visitors, without further differentiation, and foreigners have to queue with an overwhelming number of mainland residents. There is a separate, usually much shorter, queue reserved for diplomats, senior citizens, disabled people and pregnant women. The Sky Shuttle helicopter service operates every 15–30 minutes between Macau's Terminal Maritimo and the Hong Kong-Macau Ferry Pier in Hong Kong, as well as five times a day to/from Shenzhen airport. The trip takes just 16 minutes, but tickets cost a whopping HKD4300 one-way, with a surcharge of HKD500 on major holidays. This is arguably the best way to get around the Macau Peninsula, which is small, compact and full of things to discover. Many roads are also one way so there is quite a chance that it won't be slower than to take road transport which may need to make a long loop to reach the destination. Most streets have a pedestrian sidewalk making walking easy, although you will have to fight the crowds going in all directions. Cars are more mindful of pedestrians than in mainland China, but traffic rules are still not very well adhered to, so ensure that you look both ways before crossing and be careful of large vehicles in narrow roadways. In and around the Senado Square, the pavements will be made of hand-laid limestone pieces made into simple designs, something that will surely catch your attention. Macau is also hilly, be prepared to struggle up and down steep lanes and steps. Especially in the old city, the city streets do not seem to run in any particular pattern and you'll most likely get lost at some stage, which is part of the fun of exploring Macau. In the Cotai strip, distances are large but sidewalks are pretty consistently present. It is now fairly easy to walk between the Galaxy, Venetian and City Dreams casinos, and it is easy to walk between Galaxy and Taipa Village. It is more interesting to take a walk after dark to take a glimpse of the casinos' illuminated façades. Many of the hotels are connected to each other by indoor walkways lined with expensive shops. Macau and its districts are served by two bus companies - Transportes Urbanos Macau (Transmac) and Sociedade de Transportes Colectivos de Macau (TCM). The bus system in Macau can be difficult to use. It is often difficult to gauge which direction the bus is heading and the routes through the city center are very curvy, often making a long ride out of a short distance. Bus drivers usually only speak Cantonese, very little English or Mandarin and certainly no Portuguese at all. Most bus stops have no English on signs, although you can sometimes figure out the destination from the Portuguese bus stop names. Some bus stops have route descriptions (with a list of stops) on a rotating pole at the stop and a small coloured dot indicates the stop you're at (including which direction on the route the stop serves). The ferry terminal is "Terminal Maritimo" while other mentions of "Terminal" indicate the terminus (end) of the route. Buses run early morning to late evening, most roughly from 6AM to midnight. Nevertheless, the websites of both companies list the stops that all their routes make. The TCM site is in Chinese and English, while the Transmac site depicts routes schematically. The tourist information desk at the ferry terminal has free maps with bus routes on them and can provide advice on how to get to a particular destination. There is a flat fare of MOP6 (2018) for all bus routes. Get your destinations written in Chinese if you need to tell them where you're going. You should pay the exact fare as drivers do not give change if you overpay. Buses accept Hong Kong coins (but not the MOP10 Hong Kong coin). Announcements on the bus are made in Cantonese, Portuguese, Mandarin, and something that resembles English (but with most of the stop names in Portuguese). Free WiFi is available on the buses for a limited period of time. Macaupass, a debit card similar to Hong Kong's Octopus Card system, is now widely used by Macau citizens as it provides discounts on paying bus fare (fares with Macaupass are MOP3 for regular routes and MOP4 for express routes, with free transfers). However, it's not worth it for most short-term visitors – distribution points are limited, the minimum value to add when you first get the card is MOP100, and while getting a partial refund is possible, it's inconvenient. Scooters are a very economical and fun way to see the sites of Macau, they are also the primary mode of transport for locals due to Macau's narrow streets and lack of car parking space. Scooters are available for rental from a few dollars. Licenses from most countries covering mopeds or motorcycles are accepted. If you've got more time than money on your hands, you can travel around Macau for free simply by hopping on and off the complimentary shuttle buses operated by all major casinos and hotels. Virtually all serve the Terminal Maritimo, with buses every 5 to 10 minutes, while the big boys (Venetian, Wynn, City of Dreams, Galaxy etc.) also shuttle to the Border Gates, the Taipa Ferry Terminal and the airport. The buses to Hotel Lisboa, for example, drop you off just a few blocks from Largo do Senado. Most of the casinos and hotels offer totally free shuttle buses, but some of the casinos on the waterfront of Old Macau- including The Lisboa, Wynn, and MGM- require users to first spend money in their casinos before getting the tickets. Some free shuttle buses also run between the main hotels on the Cotai Strip, and the larger hotels in the old city. For example, a shuttle bus between Hotel Sintra in old Macau and Studio City or City of Dreams on Taipa. 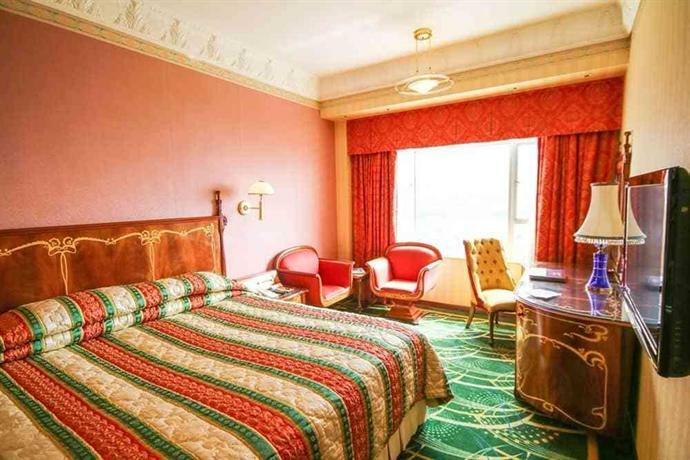 The Sands hotel chain also run a similar service between their hotels on the Cotai Strip (The Venetian, the Parisian, Sands Cotai Central) and the original Sands Hotel in the city. These particular shuttles are often very popular but they run frequently, and it's unlikely that you will wait for long at any stop. Taxis are cheap and convenient. Taxi ranks are spread around the city but at peak times you will have to wait a bit for a taxi (you can also hail taxis on the street but it is even harder to find them there). As of 2016 taxi fares start at MOP17. Largo do Senado to the border is about MOP50. The longest possible taxi ride (from the Border Post at the extreme north of Macau to Coloane in the south) would be well under MOP200 unless there are extremely bad traffic jams. It is a good idea to have difficult destinations, such as small hotels, written in Chinese as many taxi drivers only know Cantonese well. Most know enough English to understand the major attractions and destinations and some of them may speak good Mandarin or English, though it is not wise to count on your luck, and almost none speak Portuguese. Most taxi drivers carry with them a list of casinos and other important places, so in case there's a communication gap, just look for it on the sunguard of the front passenger seat. Should you leave from a casino/hotel, a bilingual English/Cantonese speaking employee will generally be there to tell the cab driver where you want to go. Like in Hong Kong, every bag placed in the boot of the taxi will have an additional surcharge. Many taxi drivers are off duty at Sundays and use their cars privately. Those taxis have a red sign in the front window. Expect some waiting for a free taxi on Sundays. As in Hong Kong, cycle rickshaws (triciclo or riquexó) are a dying breed, although a few still lurk around tourist haunts like the ferry terminal and Hotel Lisboa. Prices are negotiable, but a few hours of city touring by triciclo might cost around MOP200. Car rental is not a popular option in Macau given the territory's high population density and small size. Avis provides car rental services in Macau and you have the option of renting the car with or without a driver. Roads are generally well maintained and directional signs are in both Chinese and Portuguese. Unlike in mainland China, international driving permits (IDP's) are accepted in Macau, and traffic moves on the left side of the road with most cars being right-hand drive (as in neighbouring Hong Kong). If you wish to drive in mainland China, your vehicle must have a second set of number plates issued by the Guangdong authorities, and you need to carry an additional Mainland license, as the Chinese government does not recognise Hong Kong, Macau or foreign licenses. You would also need to change sides of the road at the border. A light rail system is under construction, causing chaos in the narrow streets of Macau (bus stops may move at short notice). The first phase, the Taipa line which is expected to open in 2019 or 2020, starts at the southwest corner of the peninsula and snakes through Taipa and Cotai to the airport and Taipa ferry terminal. Future lines will connect the rest of the city. Macau's official languages are Cantonese and Portuguese. Mandarin is becoming more widely spoken, and is the second most useful language in the territory after Cantonese—most locals are able to comprehend it to some degree. Staff working at major hotels and tourist attractions will usually be reasonably competent in Mandarin. English is spoken by most front-line staff in the tourism industry. Nearly all museums and casinos have some staff with excellent English, as do many hotels, shops and restaurants, especially the up-market ones. General English comprehension is similar to that of Hong Kong. It is useful to keep your hotel's name card for taxi drivers. Speakers of Portuguese won't find it very useful when talking to local residents as it is no longer compulsory in schools, but it helps a lot in understanding place names and signs. As Portuguese continues to be an official language of the SAR, government offices are required by law to have Portuguese-speaking staff on duty. All official signs in Macau are bilingual in traditional Chinese and Portuguese. Under the "one country two systems" policy, Macau continues to use traditional Chinese characters and not the simplified Chinese characters used in Mainland China. Although best known for gambling, Macau is extremely rich in attractions and oozing with atmosphere, thanks to hundreds of years of fusion between European and Chinese cultures. Macau is a fascinating place to just walk around as the place is packed with churches, temples, fortresses and other old buildings bearing an interesting mix of Portuguese and Chinese characteristics. Besides buildings, there are also hundreds of narrow alleyways forming a maze in the old part of Macau where the people of Macau carry out businesses and work. If the sheer density of humans gets to you, take a break and enjoy several pretty gardens or head to the islands. One of the interesting things to see in Macau is a statue of the Bodhisatta Avalokitesvara (known as ?? kwoon yam in Cantonese) next to the sea near the Sands Casino and MGM Grand. Despite being a Chinese deity, the statue is distinctly European in design and resembles the statues of the Virgin Mary you can find in Europe. And if history is not your thing, there is the Macau Tower of awesome views and adventure sports, or Fisherman's Wharf to enjoy some theme-park activities and shopping. You'll find most of the attractions in Macau Peninsula, but Taipa and Coloane, each with a pretty village, also draw hordes of visitors. Visit the Cotai reclaimed land area to see its transformation into the "Las Vegas Strip of the East". The Venetian is the most famous with its Venice-styled shopping mall with canals running through, and is also the largest casino in the world. The City of Dreams, not much smaller, high end fashion shops, three hotels and the world's most expensive theatre show (see below). A large section of Macau Peninsula has been designated a UNESCO World Heritage site and 25 buildings and sites within the area have been deemed to have cultural and historic significance. One of the best ways to cover the sights is to do the Macau Heritage Walk circuit. The heritage Buildings, the Sao Paulo Cathedral, the Fort and the Macau Museum are all adjacent to each other and can be conveniently seen individually even if one cannot catch the Heritage walk timing. Taipa Village and Coloane Village, previously inhabited by fishermen, are also interesting with their colonial-era shops and houses along narrow lanes. Macau has several museums. The "Macau Museum Pass", which used to give discounted entry to most of these, is no longer sold. The main museums, such as the Macau Museum, are in Macau Peninsula although there are two museums on Taipa - the Museum of Taipa and Coloane History and Taipa Houses Museum. The Macao Giant Panda Pavilion in Coloane is worth a visit – especially for those travellers unlikely to traverse into Mainland China. The pavilion is in the middle of Seac Pai Van Park, and is a little bit more difficult to get to than other attractions in Macau. Although entry to the park is free, the pavilion requires a MOP/HKD$10 entry fee. This is by far the cheapest way to see pandas in Hong Kong or Macau, and it has 4 resident pandas (as of January 2017). For that price though, don't expect too much. Be sure to arrive in the morning time, around 11AM perhaps, as the pandas tend to sleep later in the day. Gambling is Macau's biggest industry and busloads arrive daily from mainland China to try their luck. In addition, many Hong Kongers arrive on weekends with the same aim. For decades, the Casino Lisboa was the largest and most famous, a landmark well-known to people outside Macau, but many more casinos have sprung up. Nevertheless, the original Casino Lisboa is still worth a visit as its halls contain many original antiques on display from the private collection of gambling tycoon Stanley Ho. Most casinos are along the waterfront on the southern side of Macau Peninsula. North of the Lisboa is a strip with many smaller casinos, a number of hotels and bars, and quite a few restaurants. This can be one of the more interesting areas of Macau; among other things it has quite a good Indian restaurant and several Portuguese ones. However, parts of it are also fairly sleazy, with lots of hookers and touts, so some caution is in order. New casinos have also opened in the area called NAPE south of Avenida de Amizade, including Wynn Macau and Sands Macau. All this is going to be overtaken by the new development on the Cotai Strip, which is being made into "The Las Vegas Strip of the East". The biggest casino in the world, Venetian Macao, opened its doors in August 2007 and the not-much-smaller City of Dreams followed in 2009, with many more still to come. 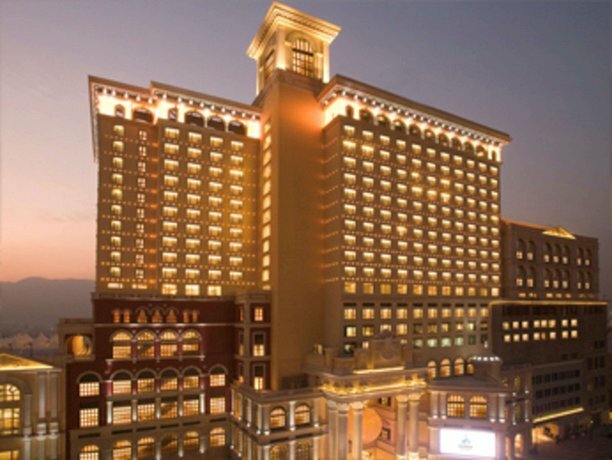 There are also several casinos on Taipa, including the Crown Macau. There are ATMs available at any casino, and many other Forex facilities to change your money. Gamblers are required to be at least 21 years of age to be allowed to play. Interestingly, local civil servants are not allowed to enter the casinos with the exception of the first three days of the Chinese new year. For the full listing of casinos, see the respective district pages. Macau has an increasing variety of performances. The City of Dreams in Cotai hosts The House of Dancing Water, the world's most expensive theatre show, costing US$250 million to produce. The stage holds five Olympic swimming pools worth of water, and ushers give the front few rows of the audience towels. At a height of 233m, the bungy jump from Macau tower, maintained and operated by A.J. Hackett is the second highest in the world. Along with the bungy, one can also try the Sky jump, that is somewhat like a jump but is more protected and doesn't involve a free fall, and a sky walk, that is a protected on a platform running around the circumference of the floor. Bouldering and sport climbing activities are also conducted at the tower's base. See the Macau Peninsula page for details. Macau's two beaches - Hac Sa (?? - black sand) and Cheoc Van (?? - bamboo bay) - are on the southern side of Coloane island. They are very popular and are frequented by locals and visitors, especially at the weekend. Besides beaches, there are several public swimming pools all over Macau. All high-end hotels also have swimming pools. There are opportunities for hiking and cycling on the relatively rural islands of Taipa and Coloane. In Taipa, the two hills Taipa Grande (???) and Taipa Pequena (???) are the two main spots for Hiking Trails, while a cycling track is available near Ocean Gardens and Avenida dos Jogos da Ásia Oriental da Taipa. In Coloane, the area is much more rural and is harder to be spotted. The area in Coloane is also more mountainous, creating more opportunities for hiking. A list of the hiking and cycling paths is available at the IAM website. There is a bowling centre of international standard which was constructed in 2005 for the East Asian Games at the Macau Dome (???) in Cotai area. There is also a bowling alley in Macau near the Camoes Garden/Protestant cemetery. The currency of Macau is the pataca (ISO code: MOP), which is divided into 100 avos. Prices are shown as MOP$10, for example (10 patacas). The pataca is pegged to the Hong Kong dollar (HKD) at 1.03 patacas to 1 dollar. Hong Kong dollars are almost universally accepted in Macau on a 1:1 basis, so there is no need to get MOP if you already have HKD, although ATMs and money exchanges are numerous. Most businesses will endeavour to give you change in HKD if you pay in HKD, if they have them. Occasionally, however, a business might give change in MOP notes and HKD coins or the other way around. If you receive MOP in change, make sure to spend it before you leave Macau. The HKD10 coin may not be accepted because of numerous forgeries. Chinese yuan/renminbi (¥, RMB, or CNY) are also accepted in some areas and can easily be changed for either patacas or HKD. In casinos, the HKD is the preferred currency, and gamers with patacas may actually be required to exchange to HKD (or HKD-denominated casino chips) before playing. Transactions made at government offices though will require you to pay in patacas. Getting money is quite easy as there are banks and ATMs on nearly every street. Holders of a debit card on the international networks will have no issues withdrawing money. Chinese Union Pay cards are widely accepted, however withdrawal from ATMs requires a mainland identity card and facial scan. ATMs usually dispense in MOP (100 and 500 bills) and HKD (100 and 500 as well) and some will also dispense in Chinese currency. Changing your currency into patacas outside of Macau is just about impossible and pointless. Change enough HKD to tide you over, and then change the rest into patacas after arriving. The money changers at the Barrier Gate provide good exchange rates, and you can also change the HKD you are holding into patacas. On the other hand, try not to leave Macau with a lot of patacas. Unlike the HKD, they are quite hard to exchange in most countries. Even if you try to exchange them in Hong Kong, money changers may charge high commission thus giving you fewer HKDs than for what the MOP is worth. Therefore because of the 1:1 acceptance between the HKD and MOP and the difficulty exchanging between the two currencies outside Macau, you are advised to use HKD as much as possible for commercial transactions. Visa and MasterCard credit cards are widely accepted in major restaurants, stores and the ferry terminal but some merchants may require a token minimum purchase amount, usually MOP$100. Tipping customs are similar to Hong Kong. In most cases tipping is neither expected nor practised by locals, though tips will not be refused if offered, and bellhops may expect about MOP10 or so for carrying your bags. In full service restaurants, a service charge is usually imposed and that is taken to be the tip. If you wish to give a tip, you should give it in cash directly to the person you wish to reward for their good service and do it discreetly. Taxi drivers also do not expect tips, and would return exact change, or round it in your favour if they can't be bothered to dig for change. Quite frankly, the shopping options in Macau don't hold a candle to Hong Kong. While the newer megacasinos have introduced Macau to the joys of sterile franchise-filled malls, the city center streets around the older casinos are still a bizarre monoculture of ridiculously expensive watch, jewelry and Chinese medicine shops (with an emphasis on herbal Viagra-type cures), all aimed squarely at liberating lucky gamblers from their winnings. Finding tasteful souvenirs can thus be surprisingly challenging, although the touristy streets between Largo do Senado and the ruins of St. Paul's do have a scattering of antique shops. Bargaining in the small shops can be done, but usually working on the principle of the shopkeeper quoting a price, the buyer making "hmmm" sounds and the shopkeeper lowering the price a bit (or a lot). A full-fledged haggling match is quite rare, as most antique shops sell precisely the same thing at precisely the same prices. There are many pawnshops, especially along Av de Almeida Ribeiro in the center of town, where losing gamblers sell their cameras and Rolexes to finance the trip home or a return to the tables. For buyers, prices are usually not particularly good, but if you know the merchandise and are prepared to bargain there are some good deals. Macanese food (comida de Macau) was created when Portuguese and Chinese influences were mixed together with spices brought from Africa and South-East Asia by traders, and many restaurants advertising "Portuguese" food in fact serve up mostly Macanese dishes. Seafood and barbecue specialist Fernando's on Coloane's Hac Sa Beach is probably the best-known Macanese restaurant. almond cookies. Dry Chinese-style cookies flavoured with almond. Macau's top souvenir, they're compact, durable and hence sold pretty much everywhere. galinha à africana (African-style chicken). Barbecued chicken coated in spicy piri-piri sauce. galinha à portuguesa (Portuguese-style chicken). Chicken in a coconutty curry; despite the name, this is not a Portuguese dish at all, but a purely Macanese invention. pork chop bun. The Macanese version of a hamburger, the name pretty much says it all: it's a slice of freshly fried pork (often with a few chunks of bone left) with a dash of pepper placed inside a freshly baked bun. beef jerky. More moist and fresh than typical jerky, and quite delicious. Easily found on the street leading up to the Ruins of St. Paul, where vendors will push free samples at you as you walk by with great enthusiasm. Be sure to try them all before choosing the one you like best! All that said, the food of choice in Macau is still pure Cantonese, and a few aficionados even claim that the dim sum and seafood here beat Hong Kong. The streets of central Macau are littered with simple eateries offering rice and noodle dishes for under MOP$30 (although menus are often only in Chinese), while every casino hotel worth its salt has a fancy Cantonese seafood restaurant where you can blow away your gambling winnings on abalone and shark's fin soup. While the number of options is somewhat limited compared to Hong Kong, the popularity of the casinos with high rollers has also led to a proliferation of fine dining restaurants. The greatest concentration of restaurants is in the Peninsula, where they are scattered throughout the district. Taipa is now a major destination for those going for Portuguese and Macanese food and there are many famous restaurants on the island. There are several restaurants in Coloane, which is also home to the famous Lord Stow's Bakery, which popularized the Macanese egg tart. Yummy! Vegetarians should take advantage of the Peninsula's hole-in-the-wall vegetarian restaurants. Beyond providing a tasty, inexpensive vegetarian meal, these are a way to get away from the tourists and eat the way locals do. Check the listings in Macau/Peninsula, and keep your eyes out for signs with the character ? (sù, "vegetarian"). Reasonably priced Portuguese wine is widely available. A glass in a restaurant is around MOP20, while bottles start from under MOP$100, and a crisp glass of vinho verde ("green wine", but actually just a young white) goes very well with salty Macanese food. As elsewhere in China, though, locals tend to prefer cognacs and whisky. Macau Beer is passable and widely available, as is the Filipino brand San Miguel which has a brewery in Hong Kong. There is also a wine museum in which you can have the opportunity to taste over 50 varieties of wine. There is a buzzing nightlife in Macau. There are a variety of bars and clubs along the Avenida Sun Yat Sen close to the Kum Iam Statue and the Cultural Centre where you can have a good night out. Locals, especially younger people, prefer to meet up with their friends in western style cafes or places that serve 'bubble tea', tea served with tapioca balls and often fruit-flavoured that can be served either hot or cold. The shops in the town centre (near Senado Square) are often open until late at night and are often crowded. The casinos have also become a big hit for entertainment, offering performances of international level (advance booking advised) and comprehensive shopping malls for those less interested in trying their luck with the machines. 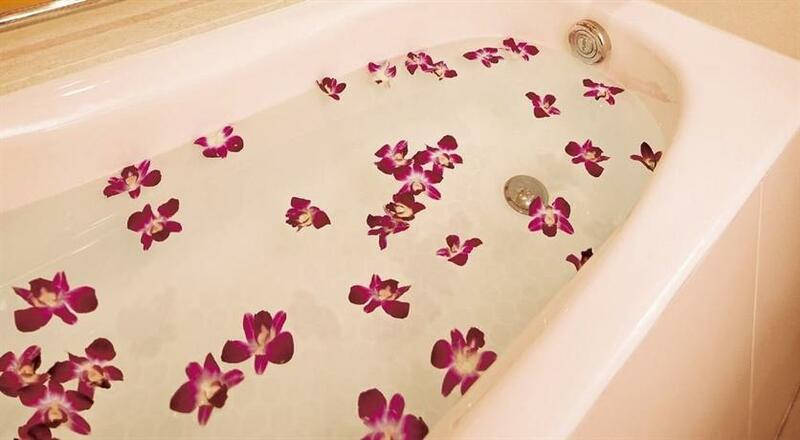 For ladies who want to pamper themselves after a shopping spree, there are spas available in almost all respectable hotels. These are different from "saunas", which are thinly disguised brothels (prostitution is legal in Macau), but these can be easily distinguished by their shop appearance. 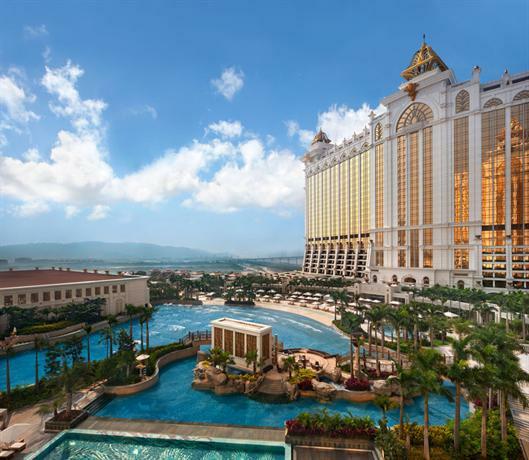 The bulk of Macau's hotels are on the Peninsula, although there are also many options - including high-end ones - on Taipa and, increasingly, the Cotai Strip, which is challenging the Peninsula to become Macau's premier casino area. Coloane has fewer and much quieter options, but among them is the beachside Pousada de Coloane. In the Inner Harbour area, many of the pensions and cheap hotels are also the place of business for many of the mainland Chinese prostitutes that work in Macau, and most hotel "saunas" are in fact thinly disguised brothels. Hotel listings are in the individual district pages. University of Macau. The oldest and most popular university, established in 1981 (then under the name University of East Asia). Offers degree programmes in a wide variety of fields at all levels, including pre-university courses, bachelors, masters and doctorate degrees. The majority of degrees are taught in English, except education and law which are taught in a choice of either Chinese (Cantonese) or Portuguese. Macau University of Science and Technology. Established after the 1999 handover of Macau to China, courses are mainly taught in Chinese (Mandarin) by professors from the mainland, and a significant portion of its student population draws from the mainland too. Macau Polytechnic Institute. A spin-off of the former University of East Asia, it was established in 1991 to provide practice-oriented education and training mainly to the local population. University of Saint Joseph. Established in 1996, it offers pre-university, undergraduate, and postgraduate courses. Non-residents who wish to take up employment in Macau, including those from Portugal or mainland China, need to obtain a valid work permit and are then issued the so-called Blue Card (officially called Non-Resident Worker's Permit). The process takes approximately a month to receive a work permit, at which time employment may begin, and another 1–2 months to receive the Blue Card. As illegal employment has over the past decades been a problem plaguing Macau, the authorities do crack down severely on any offenders (both worker and employer) caught. Visitors are therefore advised not to engage in illegal employment. The typhoon warning system is basically a copy of the system used in Hong Kong. During a number 8, 9 or 10 typhoon everything in Macau shuts down. People stay home and it is not advisable to venture outside as there is the risk of injury or worse from flying debris. It should be pointed out that compared to many other cities in the world, Macau is relatively safe to travel. The standard of living of the local Macau residents is generally good (one of the best in Asia). In addition, as a city geared towards tourism, the Macau government is keen to "clean up" the city and its image. For example, the police in Macau is now seen by the public as more effective than it used to be. Be wary of harassment from street prostitutes and hawkers handing out leaflets/flyers. Among the more insistent flyer flingers are Falun Gong, a religious/political organisation. If you do take one of their flyers (which is sometimes the easiest way to get rid of them) and you are going to mainland China, be sure to dispose of it before crossing the border. The organisation is illegal in China and being caught "smuggling" some of their propaganda would be a major hassle. A scam involving mainland Chinese visitors asking for money has become widespread, mainly in downtown Macau. These people, who are usually properly dressed, claim to have lost their wallet and not to have eaten the whole day, asking for MOP20–30 to buy some food. The police have issued warnings in the local media not to give money to these people. In the mid-90s, Macau had some vicious gang wars among the triads, mobsters with automatic weapons. Macau police had the situation partly under control by the time the Chinese took over in 1999. The current government seems to have it entirely under control; there has been no sign of open mob conflict in this century. The triads usually don't bother ordinary people, so the advice is not to mess with them (such as by borrowing money from loan sharks and then failing to repay it), and they won't mess with you. After arriving in Macau at the ferry terminal, beware of touts offering cheap rides into town. If you accept their offers, expect to be taken first to shops, which offer the touts commission. If you stand your ground and refuse to enter these promoted shops, you could be turfed out somewhere in the territory, and not where you would like to be. Stay safe, and take time to find out suitable public transport routes, or take a proper taxi. One unexpected cause of sickness in Macau is the extreme temperature change between 35°C (95°F) humid summer weather outdoors and 18°C (65°F) air-conditioned buildings. Some people experience cold symptoms after moving between the two extremes often; it is not unusual to wear a sweater or covering to stay warm indoors, and it is therefore usually good advice to carry a long-sleeve item of clothing when expecting to visit air-conditioned places for extended periods of time. Whilst tap water is safe to drink (taste aside), most locals boil or filter their water or buy inexpensive bottled water, because of the taste and because water storage systems in individual buildings are not always well maintained. You should boil it too if you're not sure about the quality of the pipes in the building where you're staying. Because of the region's history battling SARS (and later dealing with avian flu (H5N1)), good personal hygiene is strongly advisable. Although Macau's healthcare system is adequate for routine consultations, the lack of properly trained specialists and facilities means that you will be most likely referred to Hong Kong for more serious issues. While Hong Kong subsidises its residents for public hospital treatment, you will not be eligible for this if you are resident in Macau. As such, make sure that your insurance policy covers both the cost of medical evacuation and the full unsubsidised cost of treatment. There have been some cases of dengue fever. The government has sprayed insecticide in areas where there is the potential of mosquito breeding, so this risk is largely contained. However it is best to avoid being bitten by using mosquito repellent and/or wearing long clothing, especially at dusk. Social etiquette in Macau is very similar to neighbouring Hong Kong. People in Macau are generally friendly to foreigners (given the fact that Macau had hundreds of years of Portuguese colonial rule, the locals, even the older population are used to living side by side with Westerners). However, do not assume the locals speak English (or Portuguese); a few essential Cantonese phrases are always helpful. When visiting Chinese temples basic respect should be shown, but taking photos is usually allowed and you don't need to ask for permission as long as there isn't a no-photography sign posted. Avoid pointing at the status of deities with your index finger as it is considered to be very disrespectful; use your thumb or an up-facing open palm instead. Binge-drinking or drunken behavior is not tolerated in Macau. Macau's international dialing prefix is 853. Free public WiFi is provided in various locations by WiFi Go. Look for the network "FreeWiFi.MO by WiFiGo". A few hotspots provide 24-hour service; others are 8AM to 1AM. Another option is "CTM-WIFI", which only lets you log in for a limited time each day. Neither of these networks are particularly reliable. Free WiFi is also provided on public buses, and some hotels/casinos have WiFi that you can log into even if you're not a guest. The tourist information offices on Largo do Senado and at the jetfoil terminal have maps, information on museums and events, helpful English-speaking staff, and at the Largo do Senado office free Internet access. You may have to queue for the Internet, since there are only a few machines. Chinoy Express, Rua dos Mercadores. A cheap and fast internet cafe (MOP5/hr) right near Rua da Felicidade. Serves cheap snacks and right across the road is a Filipino bakery with cheap and tasty breads. Unlike in mainland China, the internet is not censored in Macau; all web-sites are accessible. Macau has excellent mobile phone coverage. Macau has both GSM 900/1800 and 3G 2100 networks. Check with your operator. Phone plans stemming from the Mainland require proper set-up for use outside of the Mainland. Some consulate services are available in Macau, although your country is likely to be better served by its Consulate in Hong Kong. Angola (Consulado de Angola em Macau), Avenida Dr. Mário Soares, Edifício FIT (Financial and Information Technology, 7th floor, ? +853 2871 6237, fax: +853 2871 6230, e-mail: cgeralangola@macau.ctm.net. Cape Verde (Consulado de Cabo Verde em Macau), 21 floor, Macau Landmark, 555 Avenida da Amizade, ? +853 2878 8138, fax: +853 2878 8168, e-mail: caboverde2007@gmail.com. Philippines (The Philippine Consulate General in Macau SAR), Unit 1404-1406 ,14th Floor AIA Tower Avenida Comercial de Macau, ? +853 2875 7111, +853 6698 1901 (24-Hour Emergency Hotline), fax: +853 2875 7227. 09.00-17.00 Monday to Friday (No Lunch Break). Portugal (Consulado Geral de Portugal em Macau), 8 Rua Pedro Nolasco da Silva 45, R/C, ? +853 2 835 66 60, fax: +853 2 835 66 58, e-mail: mail@macau.dgaccp.pt. 09.00-13.00 and 14.30-17.00. United States (Consulate of Hong Kong and Macau), 26 Garden Road, Hong Kong, ? +852 2841 2211 (U.S. citizen services), +852 5808 4666 (visa inquires), e-mail: information_resource_center_hk@state.gov. Visit website for visa inquiry form. Consular staff travel to Macau monthly to provide limited services for U.S. citizens, check website for next "Macau Day". Hong Kong is 40 minutes by HZMBus or 60 minutes by ferry. Zhuhai is just across the Chinese border, though citizens of most nationalities must have a visa to enter China. All cities of the Pearl River Delta are a few hours by train or bus away. Taipei and other destinations in Taiwan, easy to get to with about 15 daily flights (2h) from Macao and more from Hong Kong. The crime rate in Macao is relatively low. Petty crime occurs at the airport and in tourist areas, especially in and around casinos. Ensure that your personal belongings, passports and other travel documents are secure at all times. Traffic drives on the left. Roads are narrow and winding. Traffic is usually congested. Public transportation is widely available. Consult our Transportation Safety page in order to verify if national airlines meet safety standards. Dial 999 to reach emergency services or 112 to reach the police’s special tourist hotline. In some areas in East Asia, food and water can also carry diseases like cholera, hepatitis A, leptospirosis, schistosomiasis and typhoid. Practise safe food and water precautions while travelling in East Asia. Remember: Boil it, cook it, peel it, or leave it! In some areas in Eastern Asia, certain insects carry and spread diseases like chikungunya, Crimean-Congo hemorrhagic fever, dengue fever, Japanese encephalitis, leishmaniasis, Lyme disease, malaria, and tick-borne encephalitis. Good medical care is available in major hospitals. In the event of a serious illness or accident, however, you may wish to seek medical treatment in Hong Kong, where there are more private and public hospitals. Payment up front is often expected. Do not take photos of military installations. The currency is the Macao pataca (MOP). Hong Kong dollars are also accepted. Traveller’s cheques can be exchanged at banks and major hotels. Credit cards are widely accepted. Automated banking machines are widely available. The rainy (or monsoon) season extends from May to October. Typhoons usually occur between April and October. Severe rainstorms can cause flooding and landslides, resulting in significant loss of life and extensive damage to infrastructure, and hampering the provision of essential services. The Macao Observatory provides information on weather conditions. Keep informed of regional weather forecasts, avoid disaster areas and follow the advice of local authorities. Consult our Typhoons and monsoons page for more information.